A couple of years ago, each of us here on staff at West Hills Church took an assessment called the Clifton Strength Finder. It was a strengths anatomical study for each of us. What are our strengths and how should we nurture them to get the most out of us for the good of the whole church? It was fascinating. There are 34 core strengths that are measured, but the free report gives you your top five. Empathy: People strong in the Empathy theme can sense the feelings of other people by imagining themselves in others’ lives or others’ situations. Intellection: People strong in the Intellection theme are characterized by their intellectual activity. They are introspective and appreciate intellectual discussions. I shouldn’t have been surprised by them and I wasn’t. (Well, that’s not entirely true. Intellection implies thinking and I have always been proud of my Myers Briggs thinking score of zero. 🙂 )I was surprised to see how closely they describe who I think I am and how I think I work. It was no revelation to anyone that empathy was number one on my list, because my heart is worn on my sleeve and it bleeds so easily for others. But when I saw them all together like that it kind of blew my mind. I think it gives me a better understanding of why I want to go out into God’s big world and see how this creation works and how all of us are needed to fulfull his big picture. It explained why I am always reading, watching the news, caring for the world and the others in it besides me, try to be a peacemaker and understand others and that I think about all of it all the time. It doesn’t give me answers, but it makes me ask questions. It explains why I love to be in the middle of a choir! Things happen for a reason. You are sure of it. You are sure of it because in your soul you know that we are all connected. Yes, we are individuals, responsible for our own judgments and in possession of our own free will, but nonetheless we are part of something larger. Some may call it the collective unconscious. Others may label it spirit or life force. But whatever your word of choice, you gain confidence from knowing that we are not isolated from one another or from the earth and the life on it. This feeling of connectedness implies certain responsibilities. If we are all part of a larger picture, then we must not harm others because we will be harming ourselves. We must not exploit because we will be exploiting ourselves. Your awareness of these responsibilities creates your value system. You are considerate, caring and accepting. 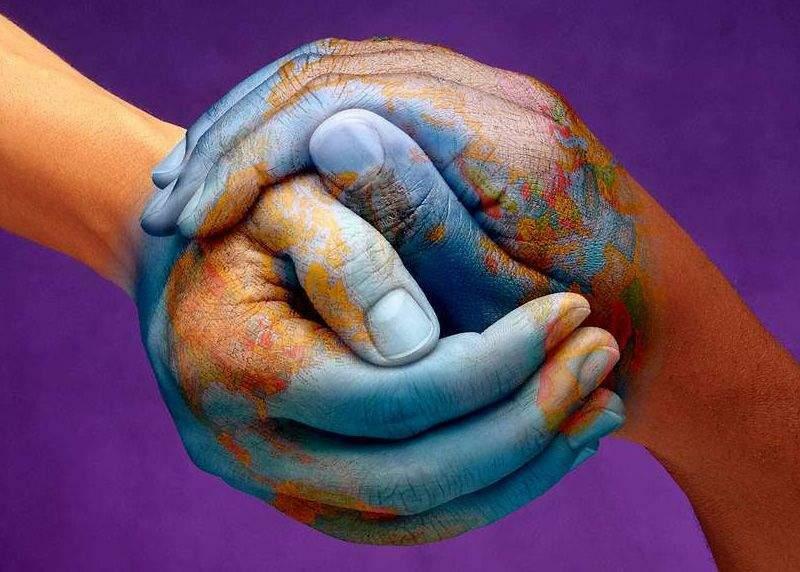 Certain of the unity of humankind, you are a bridge builder for people of different cultures. Sensitive to the invisible hand, you can give others comfort that there is a purpose beyond our humdrum lives. The exact articles of your faith will depend on your upbringing and your culture, but your faith is strong. It sustains you and your close friends in the face of life’s mysteries. My prayer for this day is that this strength – connectedness – which each of us contains to some degree, would overflow in our hearts and minds in ways that we could see the other and know we are less than we can be without them in our lives. Each of us is part of the whole, and the whole is not complete with missing connections. How do I take this test? Sally, you can buy a copy of any of the Strength books, like “Now, Discover Your Strengths,” on Amazon or just Google the Clifton Strength Finder for more info. Those books all contain a code at the back to take the assessment for free. As I remember it takes about 45 minutes of uninterrupted time. They will send you a report back of your top five. If you want the full assessment of all 34 profiles for you, that will cost extra but I don’t know how much. Wish I had gone that far, but was glad to find out my top five. It doesn’t change who I am, but it is helpful to know those are strengths and not things to undo in myself.